Here at RV World MI, we're RV specialists who pride ourselves in offering only the best RV brands from the top manufacturers in the world at unbeatable prices! Come in and check out our huge inventory! 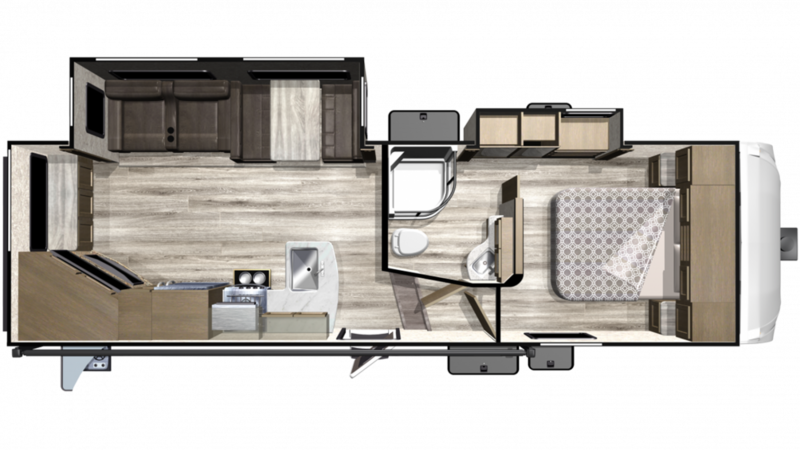 Here is where you'll find this 2019 Starcraft Telluride 251RES! This 5th Wheel will delight your family! So come in today and let our friendly staff of specialists put you in the RV of your dreams at a price that will astonish you! We're conveniently located at 7834 S Division Grand Rapids Michigan 49548 and we're ready to help you find the perfect RV for your family! Even if you don't live in the Grand Rapids area, don't worry. We've got fast, reliable worldwide door to door delivery, so visit us online, then call us at 616-591-3632! Pick out your dream RV and you could be in it tomorrow! If you want your family to eat healthy, nutritious meals when you're on the road, then you'll love the fantastic kitchen! You'll cook up great breakfasts, lunches, and dinners with the 3 burner range cooktop, using all your favorite foods that you can stock in the 8.00 cu. ft. refrigerator! Enjoy clean water throughout the trip, thanks to the 51 gallon freshwater tank!